Street Art is found on the side of buildings, walls and rooftops. You don't often find it on the pavement. 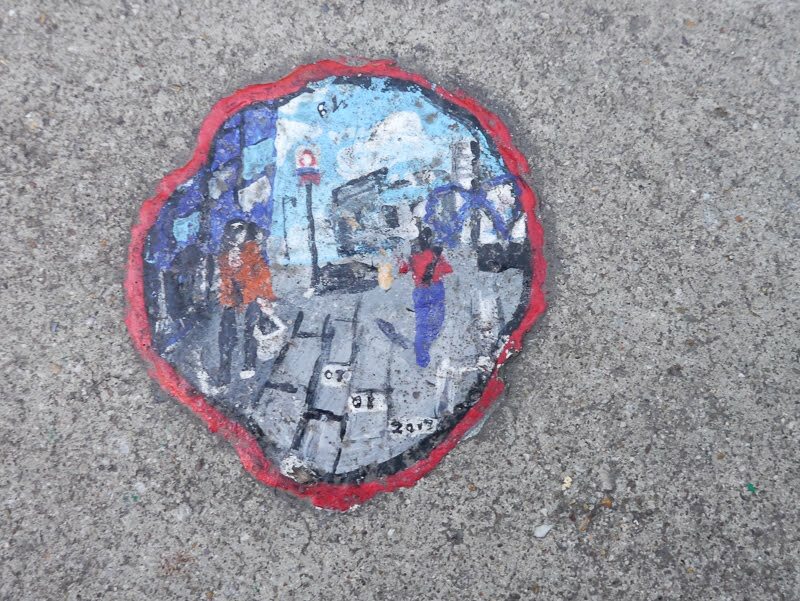 Ben Wilson's art has a unique canvas, he creates his miniatures on blobs of chewing gum. Then takes a photo of each piece and posts it on his flickr account. I was introduced to this work by Jonnie at Bowl of Chalk, however more about him tomorrow. That is such a funny idea! Was it really made of a gum? I've heard of a lot of strange ways to make art and this would be among the strangest. But, on the other hand, it's kind of cool. That's so cool. I haven't seen one yet but I really look forward to seeing on soon! Isn't Jonnie awesome? Pretty neat. I like that. Thks for coming by on Addendum though the main blog is here.